Hennessey Squeezes 600 Horses From EcoBoost V-6 in 2017 VelociRaptor! Hennessey Performance is carrying on its tradition of building a high-horsepower version of Ford’s F-150 Raptor pickup truck. Along with the engine modifications, the Texas-based performance shop usually adds steel bumpers, aftermarket wheels, and meatier tires to Ford’s already impressive truck. The same is true for the 2017 version. 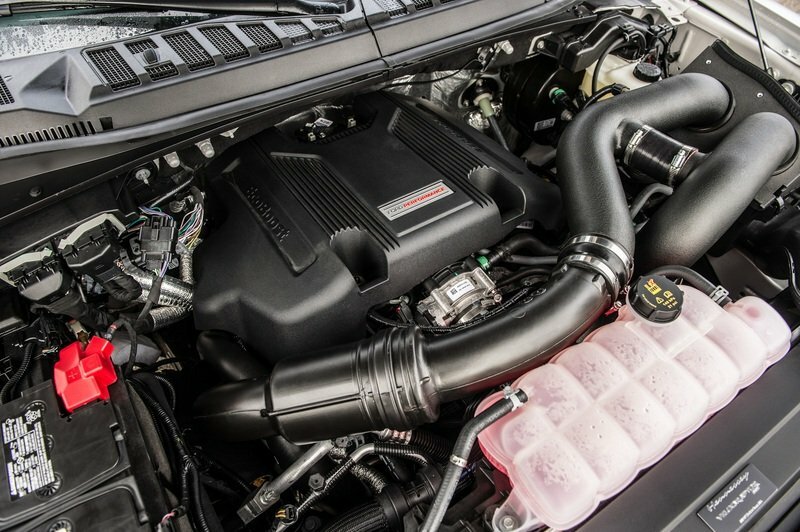 And Hennessey manages to squeeze 600 horsepower from the Raptor’s 3.5-liter twin-turbocharged EcoBoost V-6! 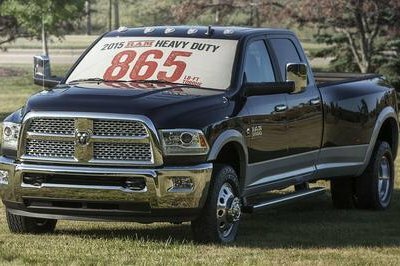 Yep, you read that right – this small-displacement V-6 is capable of producing 605 horsepower at 6,000 rpm and an whopping 622 pound-feet of torque at 4,000 rpm. 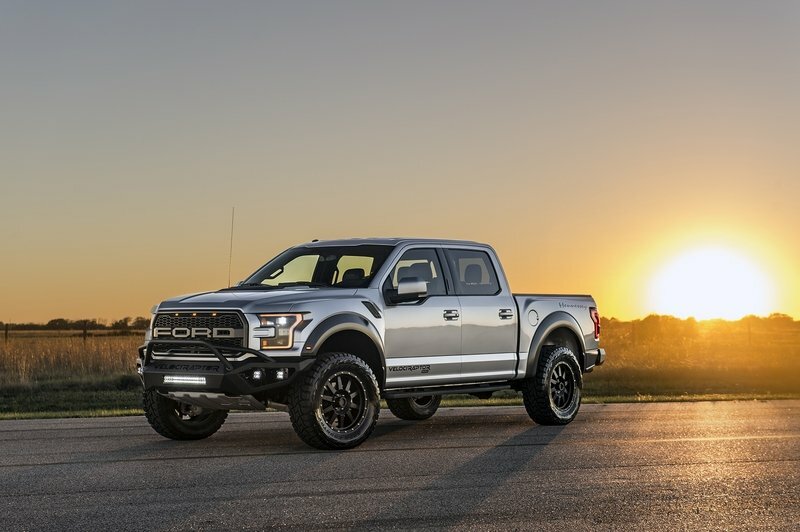 That’s well above the 2017 Raptor’s stock output of 450 horsepower and 510 pound-feet of torque. 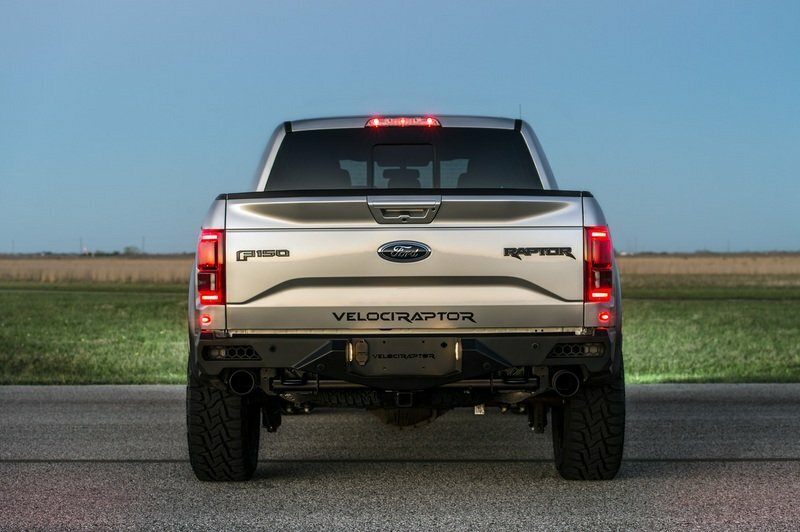 That pushes the Raptor’s 0-to-60 mph time down to 4.2 seconds, while completing the quarter-mile in just 12.9 seconds at 110 mph. That’s insanely fast for a lifted off-road pickup! Hennessey does this by adding several performance goodies, including a high-flow air induction system, an air-to-air intercooler upgrade, a catback exhaust upgrade, and a recalibration of the EcoBoost’s software. Fine tuning on the dyno and road testing ensure a complete build. What’s more, Hennessey warranties the package for three years or 36,000 miles. 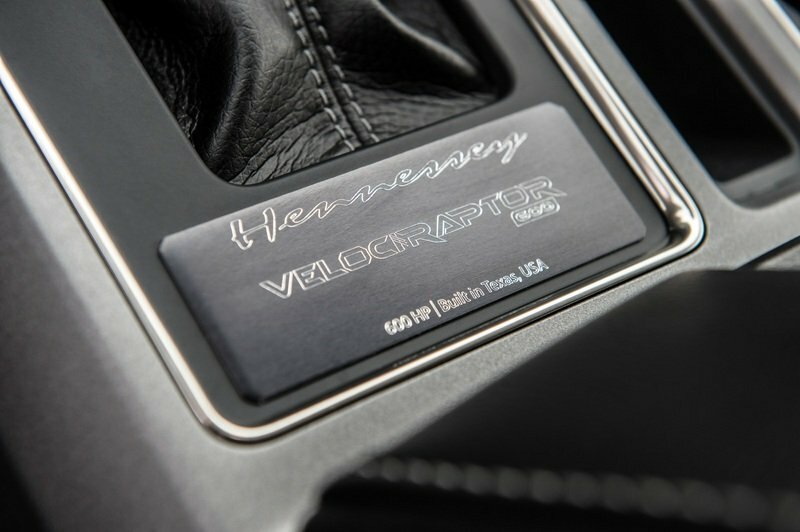 The upgrade is called the Hennessey VelociRaptor 600, indicating its horsepower rating. 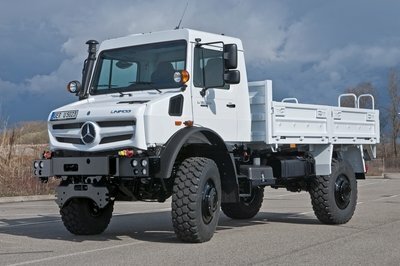 The company also has a VelociRaptor 500 and VelociRaptor 700 in the works. Of course, the engine upgrade isn’t the only piece to the multi-part puzzle. Keep reading for the full run-down. 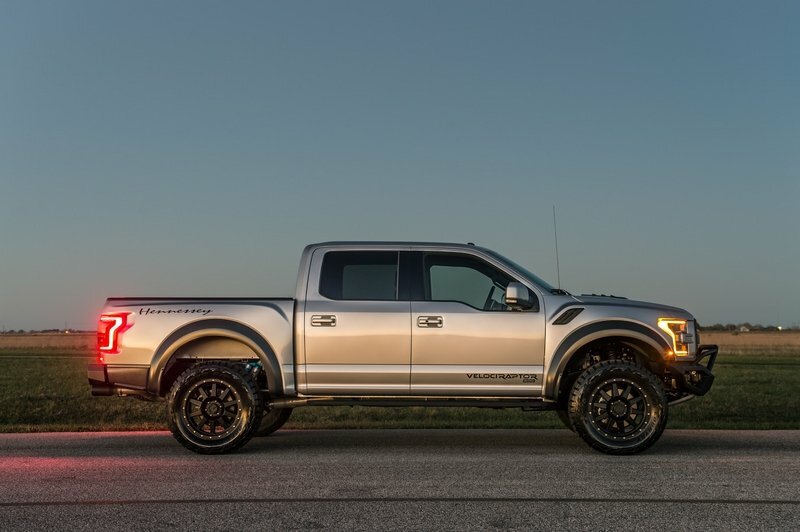 Continue reading to learn more about the Hennessey VelociRaptor 600. 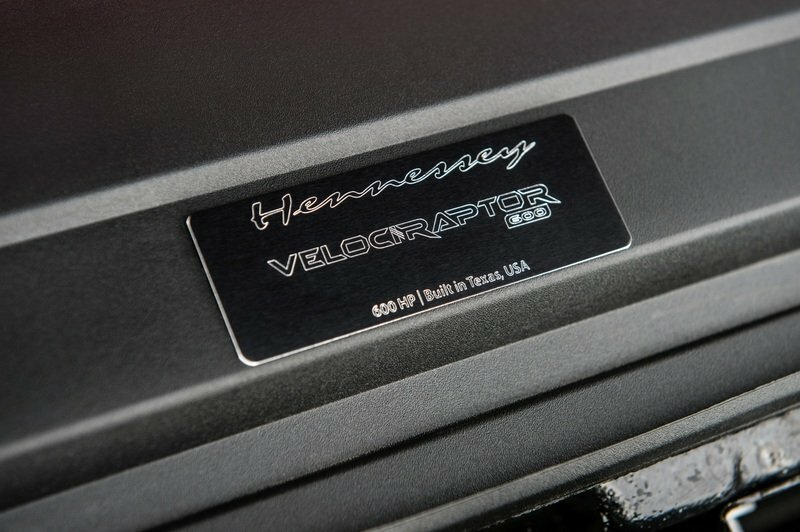 What makes the Hennessey VelociRaptor 600 special? More power is always welcomed, but most folks like showing off, or at least looking different. That’s why the VelociRaptor package gets several cosmetic upgrades that not only make the F-150 Raptor look cool, but also add some functionality. 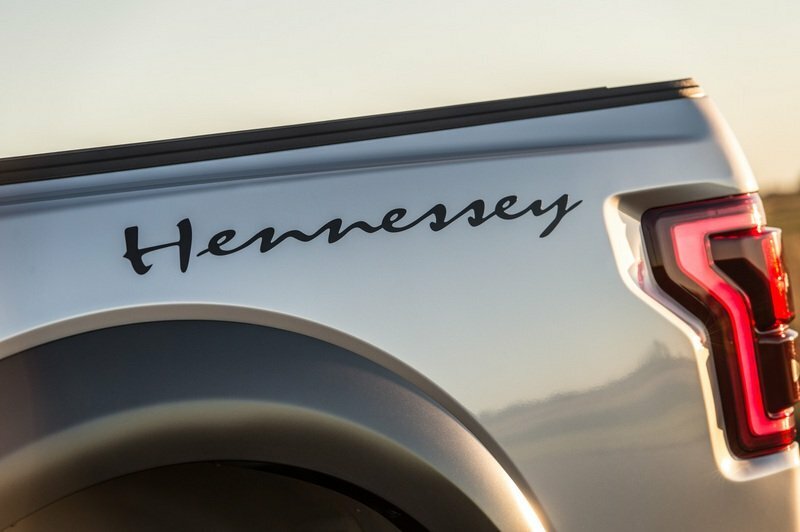 Up front, Hennessey adds a custom front bumper with four LED light pods and a LED light bar. The VelociRaptor name is also cut into the bumper, making the truck unmistakable. Out back, the rear bumper is also a custom piece, with step pockets and integrated sonar sensors. The shorty bumper follows the lines of the Raptor’s stock bumper, making room for the tow hooks, receiver hitch, and dual exhaust tips. Hennessey is only building 100 examples of the VelociRaptor 600, so you’d better get in line should you want one. 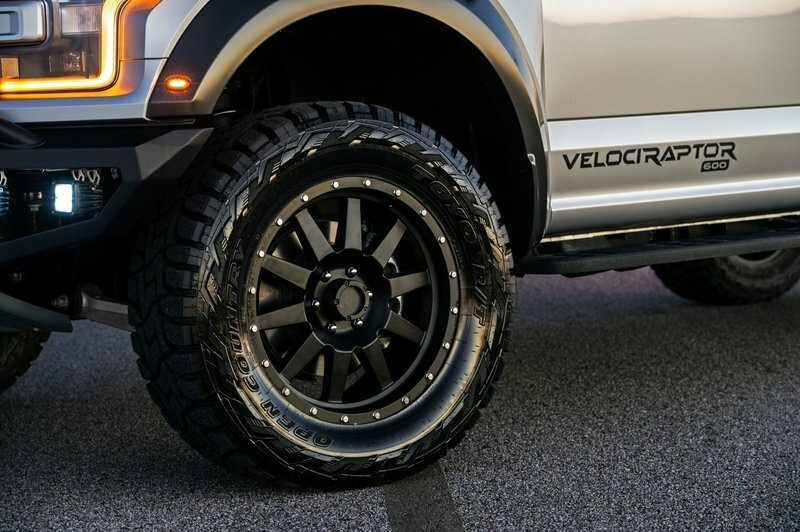 The VelociRaptor rolls on a set of 20-inch wheels custom made for Hennessey. They are wrapped in aggressive, 35-inch Toyo Open Country R/T tires. 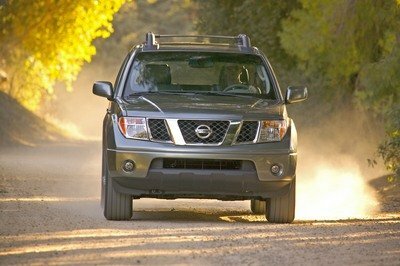 The truck also receives a three-inch suspension lift, giving it more ground clearance over the stock truck. A front suspension leveling kit also ensures the truck looks taller, despite the relatively short lift. 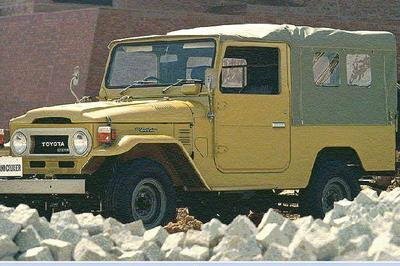 Lastly, graphics denoting the VelociRaptor can be found on the front doors, along the rear fenders, and on the tailgate. The Raptor’s interior remains mostly stock, with two major exceptions. 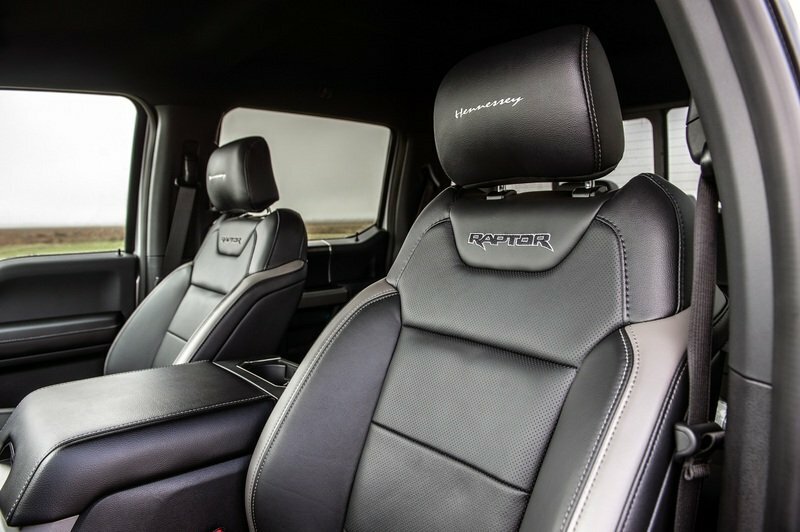 The Raptor’s interior remains mostly stock, with two major exceptions. 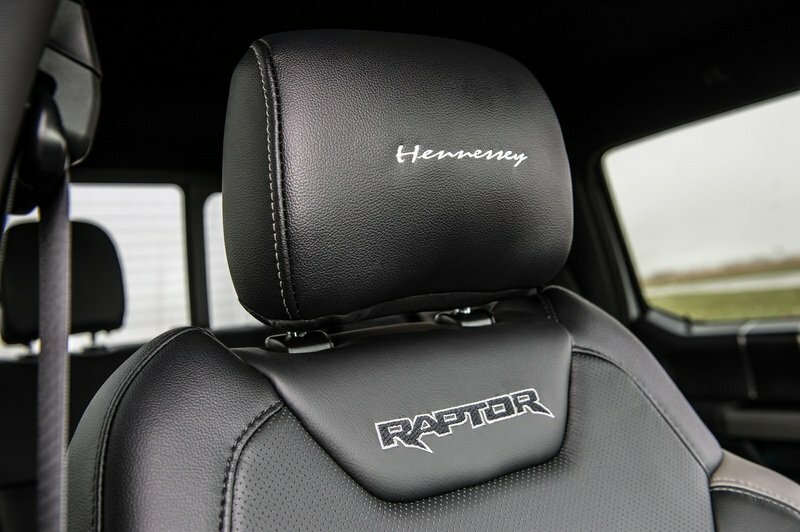 The front headrests feature Hennessey’s scripted logo embroidered in white, and a placard near the gear shifter shows the VelociRaptor’s authenticity. Hennessey is only building 100 examples of the VelociRaptor 600, so you’d better get in line should you want one. You’ll need $12,995 for the package. That’s on top of the money spent for the donor Raptor. All in, a 2017 VelociRaptor would cost no less than $61,885 for a SuperCab Raptor. Option for the SuperCrew would cost at least $64,840. 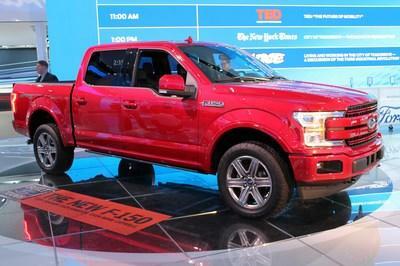 Of course, adding options to your F-150 Raptor would only increase the bottom line.